Description - Soft, delight are the best adjectives for Beaulieu's Soft Delight Carpet. This discount broadloom carpet is perfect for any room in your home especially bedrooms, living rooms and basements. Treated with Permashield, this carpeting is resistant to staining making it perfect for any growing family. Available in several neutral tones and backed by a 10-year warranty, this carpet is certain to look great for many years to come. Material - 100% P.E.T. Filament Polyester. Face Weight - 25.5 oz./sq.yd. 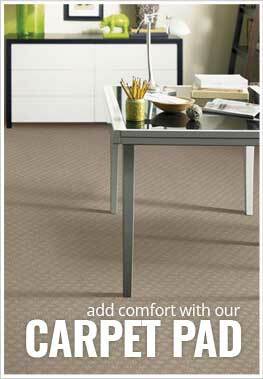 Recommended Uses - Beaulieu's Soft Delight broadloom carpeting is perfect for any room in your home. Available at discount prices, this carpet has been installed in family rooms, living rooms, bedrooms, as spare room flooring, in basements, in apartments, as home office flooring and much more. Ideal as bedroom or living room carpet. Backed by a 10 year warranty.